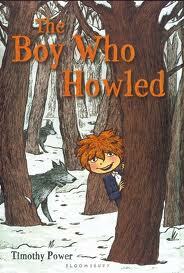 The Boy Who Howled by Timothy Power is about a boy named Callum who has been raised by wolves- literally. When he was a toddler, his family went camping and accidentally left Callum there. Two wolves found him, and decided not to eat him, but to bring him the their den. Now, Callum is older, and his wolf family decides that he needs to go back and live with the humans. So, they drop him off at the edge of the woods. This book is about Callum trying to find his family. I really enjoyed this book. The author did a really good job describing what was going through Callum’s head, which would be a bit hard, because he was raised by wolves. I laughed out loud many times because there was so much humor. One thing I liked about it is how Callum would make up what he thought the wolves were saying in his head. This book will appeal to girls and boys, and is on a 4th-6th grade reading level. Oh, I am definitely getting this for Judah.